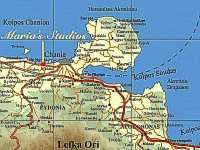 Mariasstudios, Crete, Chania, Kalamaki: Studios not only for your summer vacations. Maria Studios in Kalamaki, Hania, Crete, welcomes you to our beautiful island. 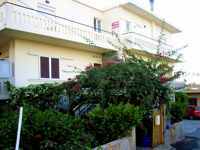 The 6 studios are located only 5 km from Hania and 150 m from the beach. In the area you can find some mini-markets, restaurants, taverns and cafes. From September to June you can rent the studios by month including free central heatingsystem. The west part of Crete offers some unique places from beautiful natur and full of history. From here you can make some very nice tours and discover Crete by bus or car. Please click at the pictures on the right side to enlarge.